What should a good B-school be like? Problems are solved when you have the know-how to solve them. In the world of management, this know-how is obtained when you have the right mix of theory and practice under your belt. SP Jain School of Global Management is one of a number of institutions imparting quality education which should be on the radar of students wanting to study abroad. For the less familiar, this is not to be confused with S. P. Jain institute of management and research, which has Andheri (Mumbai) as its only campus. In contrast, SP Jain School of Global Management has 3 campuses outside India, i.e. Dubai, Sydney and Singapore in addition to the one in downtown Mumbai. The GMBA (global master of business administration) course, contrary to many other MBA courses, is said to be a one year program that has fewer holidays than the typical two year program in order to accommodate equivalent curriculum. 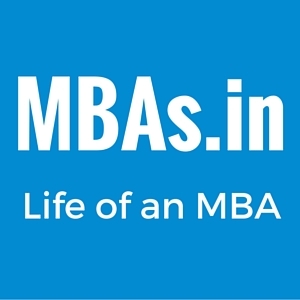 However, it is also worth noting that this course is meant for those having worked full-time for more than 3 years and hence is not meant to be a short-term substitute for MBA aspirants who do not have work experience. Companies who have hired pass-outs from SP Jain School of Global Management include Amazon, Dell, Sony, Citibank, etc. Some of the SP Jain alumni have even occupied ministerial posts in governments and certain public sector organizations. The GMBA course mentioned above follows a tri-city model. What the tri-city model basically does is to increase cultural sensitivity and awareness amongst aspiring managers who want to study abroad, by distributing four months each to the three campuses of Dubai, Singapore and Sydney. Each of these locations has a different culture, customs and business practices. Since a well-informed decision is usually a better decision, it helps that the managers of tomorrow realize first-hand what doing business is like in various places in the world. Not all courses offer a tri-city model. For example, the undergraduate programs in business communication and economics each follow a twin-city model. Also, they are not the only one offering such an exposure. For example, the Carson College of Business, affiliated to Washington State University also offers MBA programs that take students through the campuses at Pullman, Spokane and Vancouver. In 2015, the Global Brands magazine in the UK had ranked SP Jain School of Global Management as the best of its kind in Dubai. The same year also saw the institute making its entry in the list of top 10 international 1-year MBA programs, as rated by Forbes. At the same time, it is also surprising to note that although it has a campus at Mumbai, the B-school is nowhere to be found when one browses the list of MBA institutes in Maharashtra at the directorate of technical education (DTE Maharashtra)’s web site or even at the all-India council for technical education (AICTE)’s web site. Previous story What makes a good leader?